One of the East Bay’s best kept secrets is that it’s home to talented and prolific novelist Thomas T. Thomas. 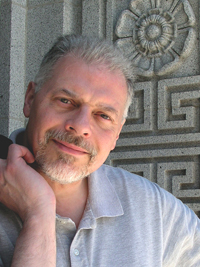 With nearly two dozen novels — spanning science fiction, cyber punk, military fantasy, history and now — romance — Thomas continues to display an astonishing virtuosity, a commitment to hard work and a respect for his readers. Much like the prolific Victorian novelist Anthony Trollope, widespread, popular success, has eluded Thomas for years. But that appears to be changing as each successive novel pushes him ever closer to mainstream recognition and acclaim. It took Trollope nearly 15 years to gain popular attention and another 10 years to enjoy real success with English readers. Tom Thomas has been writing novels for about the same length of time and each book seems more engaging that the last. The Children of Possibility, a time-travel science fantasy filled with Bay Area settings, was published in 2012, followed this year by the sequel to the Wheelock family history that began with The Judge’s Daughter. 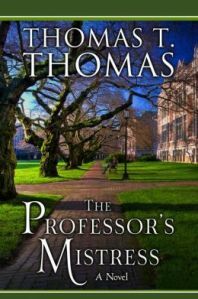 The new novel, The Professor’s Mistress, follows the next generation of Wheelocks through a turbulent twenty years filled with longing, love, greed, deception, and madness. In 2012, he also published Between the Sheets: An Intimate Exchange on Writing, Editing and Publishing, which collects Thomas’ thoughts in private conversations with me about the art and craft of fiction. The Professor’s Mistress finds the Judge’s son, William Henry Wheelock enjoying some success. He has achieved his ambition of becoming a professor of classical studies and settled down in a cottage on a quiet campus with his wife Jane and young daughter Dani. But Jane is ill-suited to sedate academic life and—in a fit of rage ignited by an old misunderstanding—suddenly leaves him for parts unknown. and “The Professor’s Mistress” to find the title. William Henry plods on stoically, teaching his classes and raising his daughter, while the social upheavals of the 1960s change the world around him in ways he doesn’t always understand. Then one day the long suffering professor falls under the spell of an older woman, Galatea, an antique pleasure yacht from the Gilded Age, and his life begins to change. 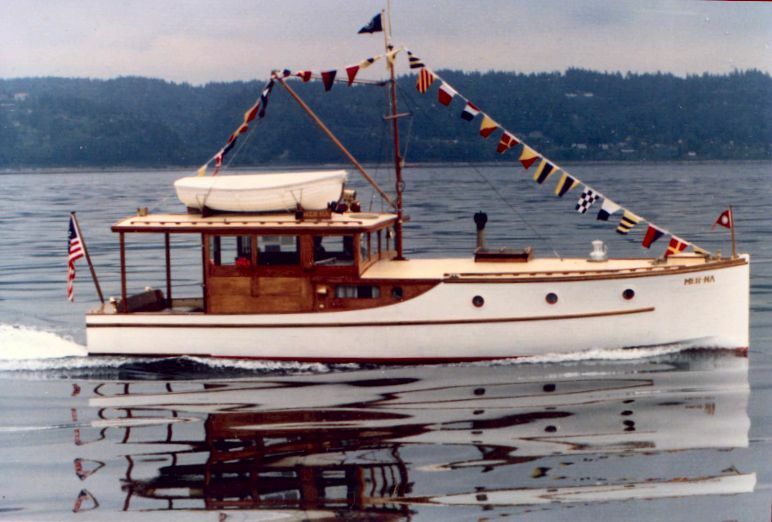 “Old boats are like a beautiful woman,” observes a passerby at the dock as he inspects the graceful steam yacht. “They call to you. They entice you. And then they steal your soul.” The man calls that feeling “the sickness” and William Henry has gotten himself a bad case of the love-sick blues. Because I’ve known Tom Thomas for nearly 30 years there are many things about him and his writing I respect. One of them is his unflagging curiosity about the way the world around us works. He’s a geeks geek, with a wicked sense of humor and piercing insights into the human condition. If I want to know how things work — from Skype to nuclear fission — I talk to Tom. His writing career spans 40 years in editing, technical writing, public relations, in addition to popular fiction writing. Among his various careers, he has worked at a university press, a tradebook publisher, an engineering and construction company, a public utility, an oil refinery, a pharmaceutical company, and a supplier of biotechnology instruments. When he’s not working and writing, he may be out riding his motorcycle, practicing karate, or wargaming with friends. Catch up to him if you can at www.thomastthomas.com. Thomas’ father was a mechanical engineer. His mother was a landscape architect who knew the Latin name for every flower and shrub. The connection with civil engineering holds good on his mother’s side of the family, too, as she was a direct descendant of Sir Christopher Wren, who designed London’s St. Paul’s Cathedral and rebuilt much of the city after the Great Fire of 1666. It was not until the mid-80s that Thomas started writing and publishing fiction. The result was eight novels, plus two novellas. “Short stories never attracted me as projects, however; I tend to think in book lengths,” he says. In retrospect, Thomas says he sees his corporate editorial writing and editing as a way to learn how the Western industrial world is put together, how the necessities that support our daily lives are created and distributed, and how the technology of the twentieth—now the twenty-first—century has evolved and grown. “I hope this knowledge and understanding makes my novels more interesting for the reader,” he says. Readers are getting interested and they’re exploring Thomas’ impressive body of work in fiction. Will his work gain the popular success of Trollope? Will his creative output match that of the prolific 19th Century author? We’ll find out once the secret’s out.